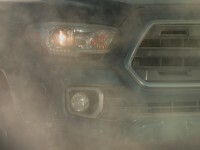 Toyota has released a second teaser photo of the 2016 Toyota Tacoma and Automobile Magazine got its hands on some spy photos. Here is what we have. 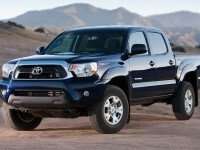 Once again, the Tacoma has been recognized for leading the mid-size truck segment in resale value. 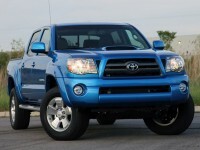 According to the Automotive Leasing Guide (ALG), the Tacoma is a Residual Value Award winner. 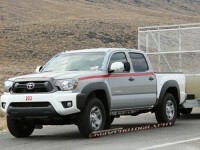 Toyota Scouts Mexico for New Plant – Tacoma On the Move? 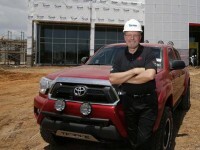 Sources are saying Toyota is currently scouting Mexican locations to build a new production facility. 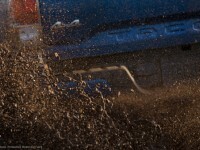 While what they would build there is unknown, yet it is very likely to be the Toyota Tacoma. Here’s why. A possible 2016 Toyota Tacoma test mule was spotted doing testing in the desert this week. The exterior looks the same as the current generation, but their looks to be some mechanical improvements. Here is what you need to need to know. 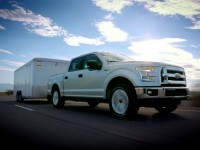 Ford Compares new 2.7L engine to Tacoma – Huh? Ford has recently been touting their new 2.7L EcoBoost engine by comparing it to the Toyota Tacoma’s engine. While the size of the trucks are dramatically different, Ford says the engines are comparable. Is this a fair comparison? New Mid-size Fiat/Ram Truck Coming Soon? 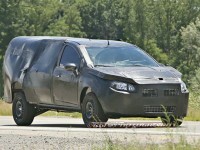 Spy photographers have spotted a new Fiat/Ram mid-size truck being tested in Michigan. Could Ram be thinking of reentering the mid-size truck market? Or is Fiat working on importing a U.S. version of their Strada? 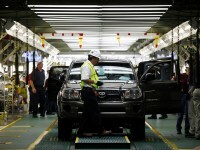 While Toyota’s headquarters move may help improve the efficiency of the large company, local dealers are hoping the increased exposure of trucks to Japanese executives will spur new investments in the product lineup. This may just be the visual reinforcement that pushes Toyota to really invest in their trucks. 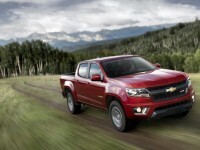 GM has revealed its GMC Canyon and Chevy Colorado horsepower and towing numbers. While they barely best the Tacoma for now, it isn’t by a landslide.